How We Help You Start Your Career in IT? Get ready for QA, BA, Network+, A+ and other certifications. 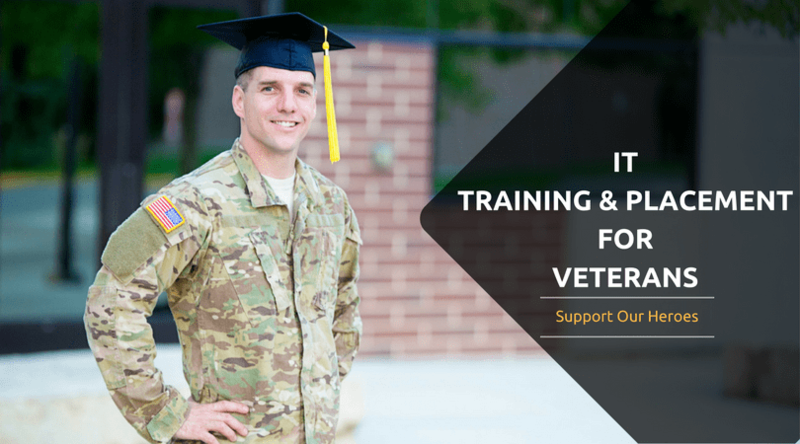 Infotek Solutions offer classroom-based (On-Site) and instructor-led online live trainings for various courses to Veterans. Regular weekdays and weekends Classroom training sessions are conducted at our offices, Vetarans joins various skills upgradation programs during weekends. Instructor-led online live sessions are the ones in which Veterans join the program sitting at their home. Very flexible timing normally conducted weekdays evening and weekends. Self paced learning is new trend in veterans, learn with your own speed, watch world class videos, researched documents and drive your program with your pace. We transform careers of Veterans by mentoring, guiding, assessing, and training individuals in today’s top tech, business demanding environment.